Travel through the wonders of New Zealand in this fabulous time-lapse film. ‘Mountains to Sea’ features some of New Zealand’s stunning wilderness areas. 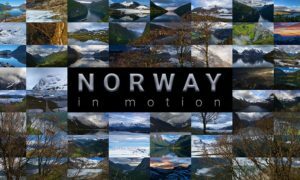 This short time lapse has over 20 landscape scenes which are as varied as the country it was shot in. This film really has it all, sunsets, stars, rain forests, lakes, mountains and the sea, check it out now! Watch the craziest and most absurd walk in Shanghai you can ever take!